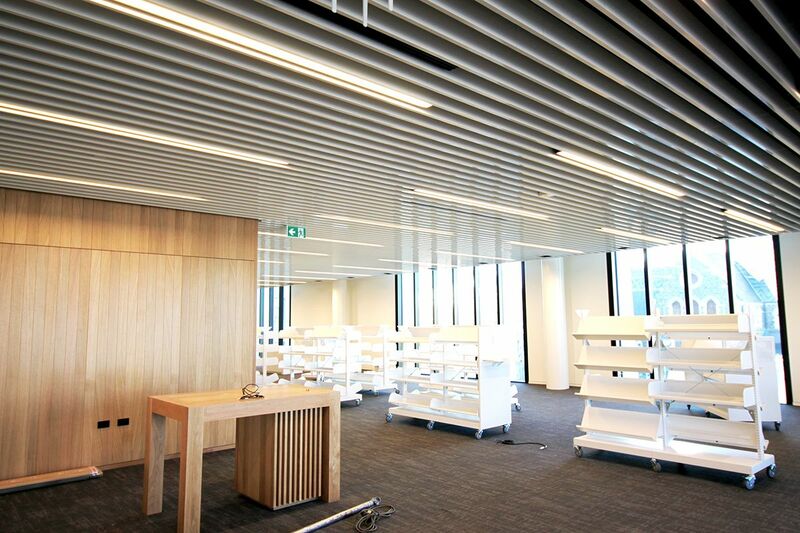 One of the defining features of the new library are the large amounts of aluminium ceilings. 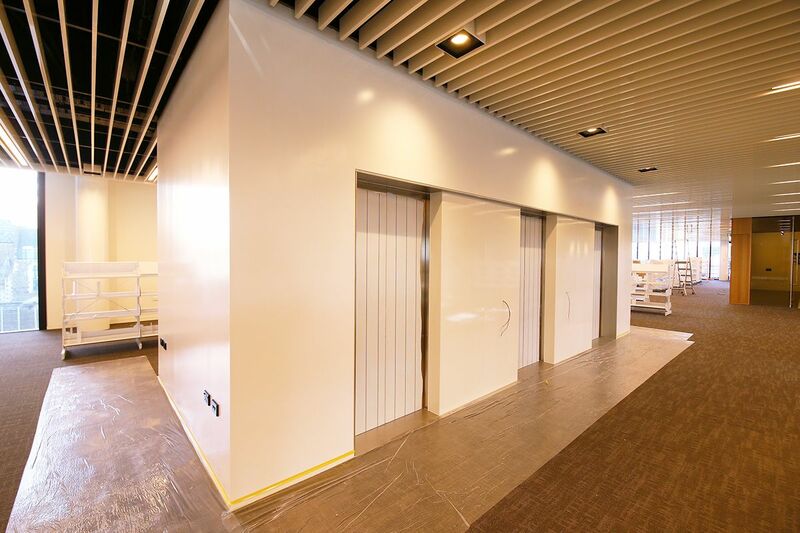 The project has 60 tonnes of high gloss T&R Interior Systems’ white baffle (around 33,000 lineal metres) and roughly another 25 tonnes of aluminium for bespoke folded bulkheads and internal cladding. The offices have T&R’s Metacoustic perforated metal ceiling tiles with a unique clip in installation system. The large acoustic lights use C Max product as the acoustic absorption material. Turanga is the new Library in Christchurch. 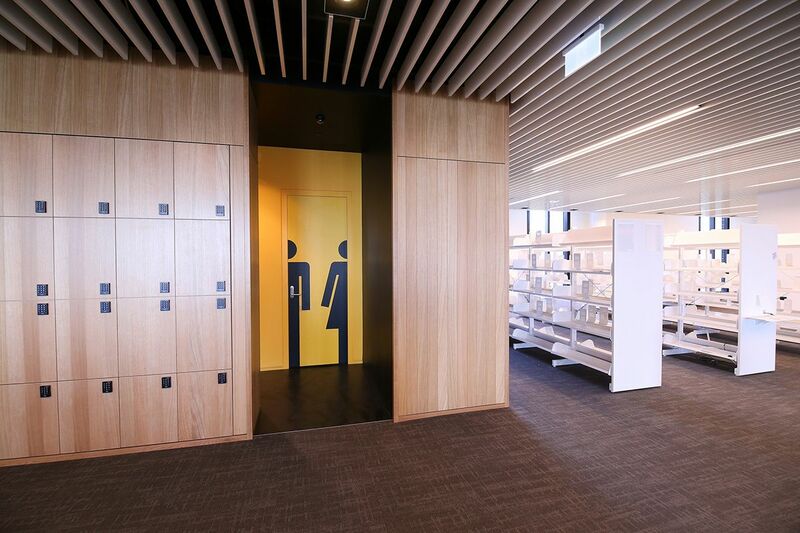 One of the defining features of the new library are the large amounts of aluminium ceilings. The project has 60 tonnes of high gloss T&R Interior Systems’ white baffle (around 33,000 lineal metres) and roughly another 25 tonnes of aluminium for bespoke folded bulkheads and internal cladding. The offices have T&R’s Metacoustic perforated metal ceiling tiles with a unique clip in installation system. 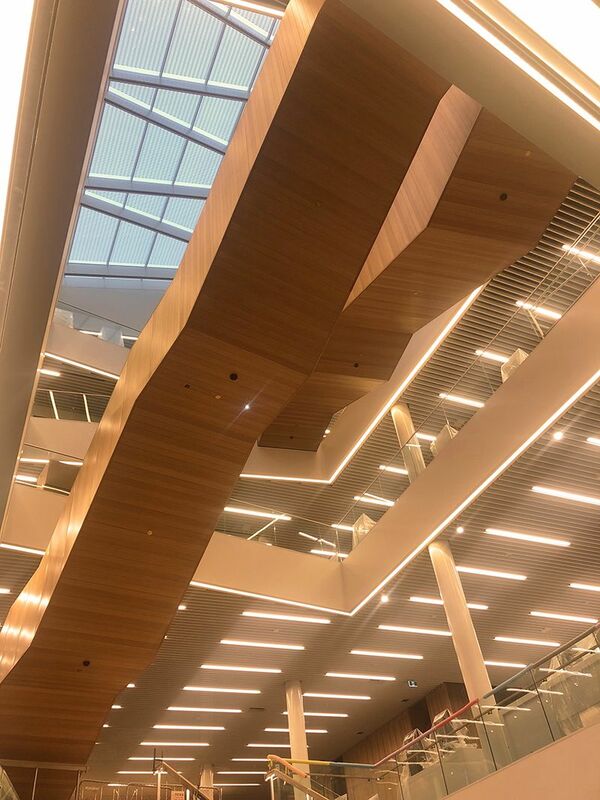 Angus Ceilings worked with Southbase and the architect (Architectus and library specialists from Europe) to refine the design and installation systems (including the seismic design) for the baffle and aluminium ceilings. The designers didn’t want any rivets so all joints were made invisible. 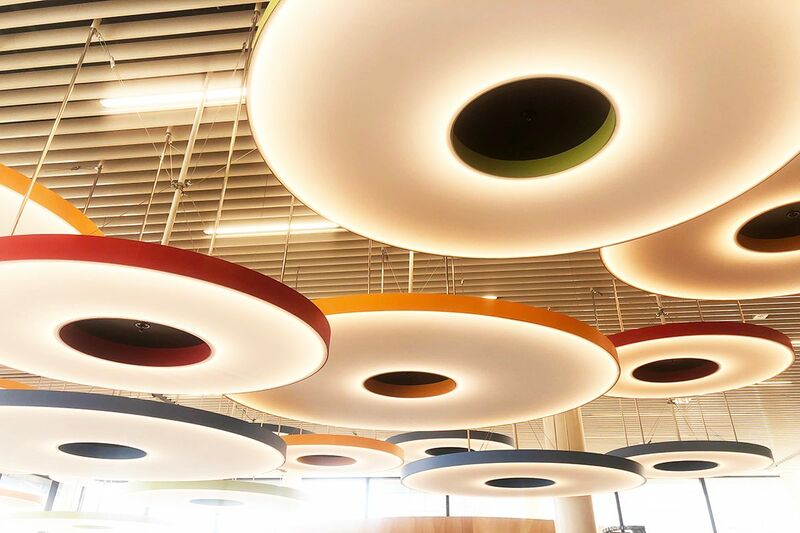 Angus Ceilings also refined the design and created the prototype for the large acoustic lights. These use C Max product as the acoustic absorption material.